Excel VBA in easy steps has an easy-to-follow style that will appeal to anyone who wants to get more from the popular Microsoft Excel Office application using VBA programming (Visual Basic for Applications). 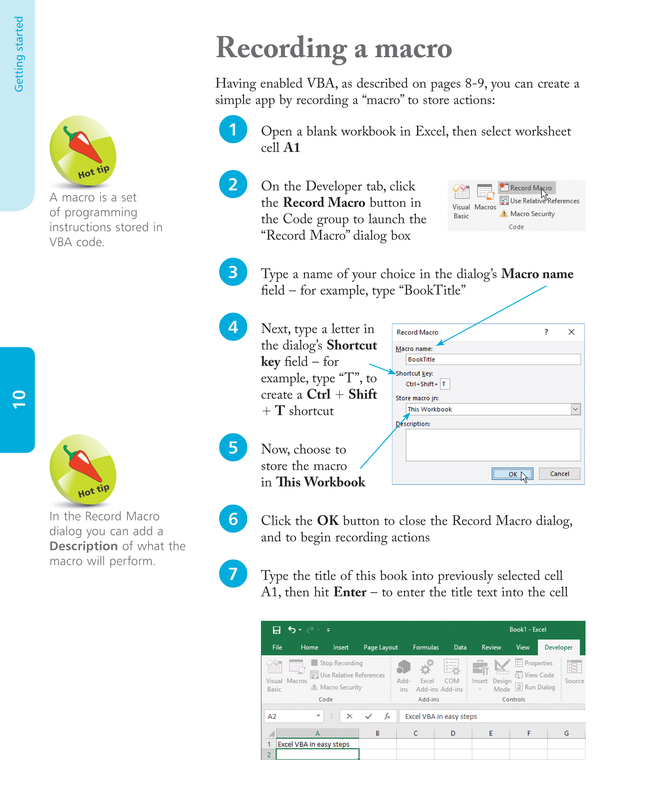 Excel VBA in easy steps begins by explaining how to record and edit macro procedures to manipulate Excel worksheet entries, then describes how to create your own macro programs in the Visual Basic Editor (VBE) that is included with the Excel application. This book then demonstrates how to program Excel procedures, provide Excel user forms, and create Excel apps. 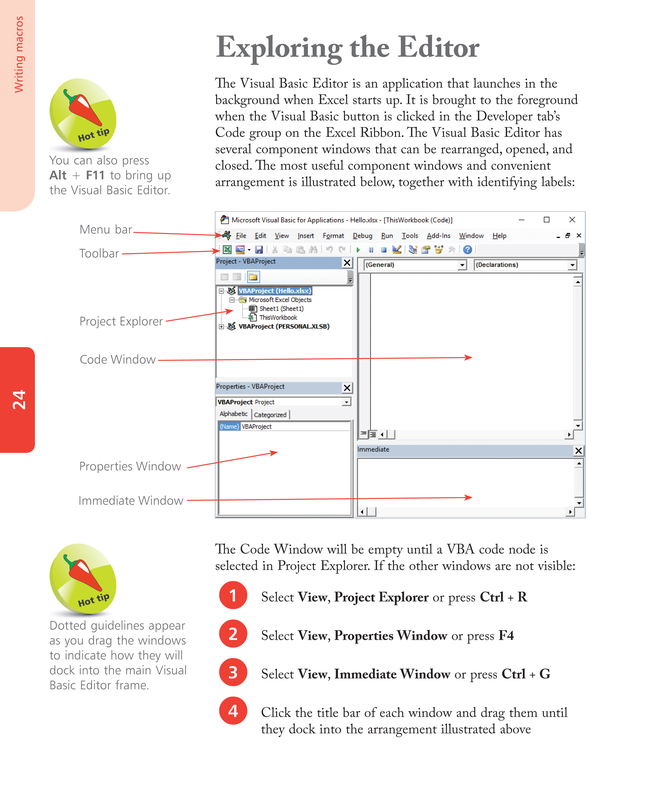 Each chapter builds your knowledge of Visual Basic for Applications. 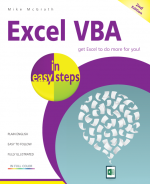 Excel VBA in easy steps contains separate chapters on the major features of the VBA language. There are complete example programs that demonstrate each aspect of Visual Basic for Applications together with screenshots that illustrate the output when that program has been executed. 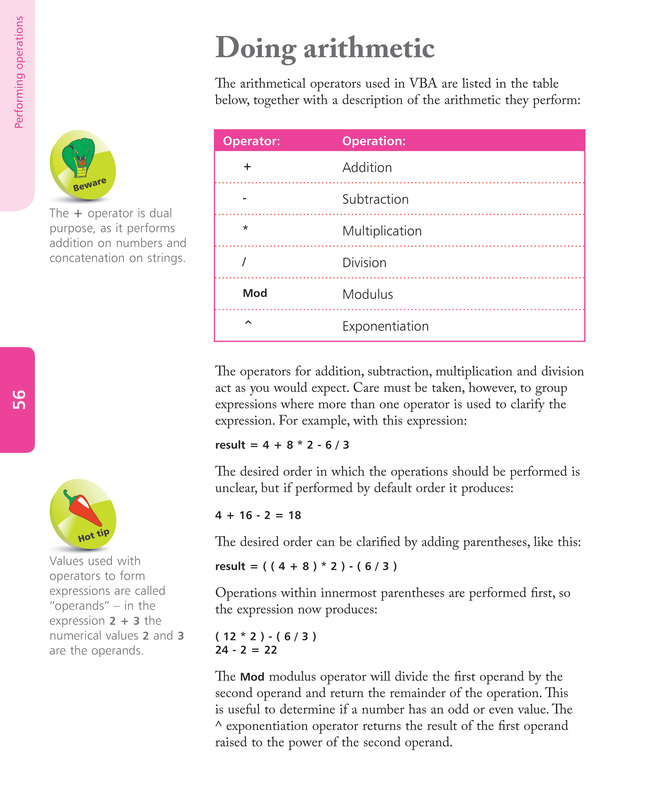 The free, downloadable sample code provided all has coloured syntax-highlighting for clearer understanding. 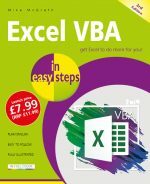 By the end of this book you will have gained a sound understanding of Visual Basic for Applications and be able to write your own VBA programs that can be executed in the Microsoft Excel Office application. You need have no previous knowledge of any programming language, so it's ideal for the newcomer to computer programming.